There are events which are not certain. When that uncertainty surfaces on our life, things shall not be the same. For a moment, many things we encounter tend to obfuscate us. Past experiences will help at times to see through the situation or else we need to experience it for the first time. Many things will be fresh and it is what one learns out of it and uses it effectively next time around, the individuals stand out. The situation will precipice on the mind. One such situation is to decide about parting ways. It is really confounding to take a decision when to part and more importantly whom to part with. Being humans, we are controlled by several motives. Ultimately it boils down to personal ethics and personal benefits. Benefits can come through ethics but it is subjective. To me, truth is much bigger than what we see, hear or experience. What we get is just part of it. 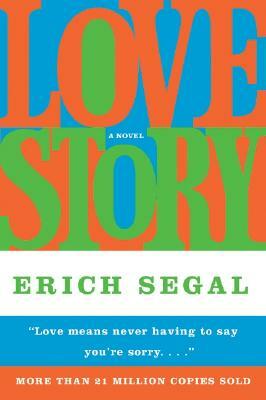 I recently read “Love Story” by Eric Segal. For me the novel’s quote inspired me to read this book. The word ‘Preppie’ used by the lover girl to call her lover boy gives me Goosebumps. I hear things must be done this way, that way. Similarly I have heard many times as to how a relationship must work. At times, one shall get good advice but to generalize all situations to one is highly preposterous. Like I said, we tend to generalize with what we call as reality and this reality is relative and can rise to many opinions which all might sound logical but it might not be the right key. The book shows the narrator and hero Oliver IV being obnoxious when it came to his dad (Oliver III) and his behavior. It just showcased an over wrought individual having walked under the glory of his father all through his life. Never really a sincere effort was made to reconcile his differences with his dad. A girl named Jennifer came into Oliver’s life. He was rich and she was poor. It was more than just physical attraction. Complete opposites but still they didn’t require some sort of occult to make them get attracted and fall in love. The next question after love sows its seeds in their hearts. She wasn’t really sure whether the relationship would work because of her background. He was serious and he did leave his parents for her. This is how the story proceeds further. I don’t want it to be continued here. Rather I would appreciate the quote which made me read this book. “Love means never having to say you’re sorry”. For most things I would agree with this because love can come only when we accept each other the way we are. At times, things won’t be perfect and we tend to be prone to errors. Hence, if sorry could reverse the aftermath of a decision then the ‘sorry’ word will be equivalent to a dose of panacea. But since yesterday, I started to wonder the other side of this quote. We are emotionally fixed to certain limits. Hence the word sorry can soothe the disturbed souls. To me, the above two quotes summed up the pristinely words ‘love and relationship’. In a way, both are different sides of a same coin. Also, love need not be the only thing which can bind two people. There are many factors associated with it. Just like a dish is made up of many ingredients which contribute to its good taste, similarly a good relationship is not based only on love. To me, Only Love is not enough. Regarding the sorry thingies, apology comes and even the concerned is forgiven. It was love which made one apologize and it was the same reciprocation of love the one was forgiven. I don’t know whether this line holds good- We meet to part and part to meet. Maybe our paths meet some day. And who said the feelings for the special one you love is perpetual? Till we discover that very special it will be a little tough to forget someone very special. “Thanks Ollie” was her last words. She wasn’t to be a part of his life for a long time but she did play a role in binding the uncouth differences a son had of his father. At least they ended up being together. Life isn’t that cruel after all. From what I have learnt, each one has to fight his/her own battles. hey man i love the way u write and think !